Birthdays are always fun, right? Wrong, if you happen to be Albert. His birthday is as grey as old socks and about as much fun. He’d really like his birthday to be fun but has few expectations of the wish he makes. Then Grandma Z arrives. She whisks him away on her motorbike for a birthday outing. His ordinary day just became extraordinary. 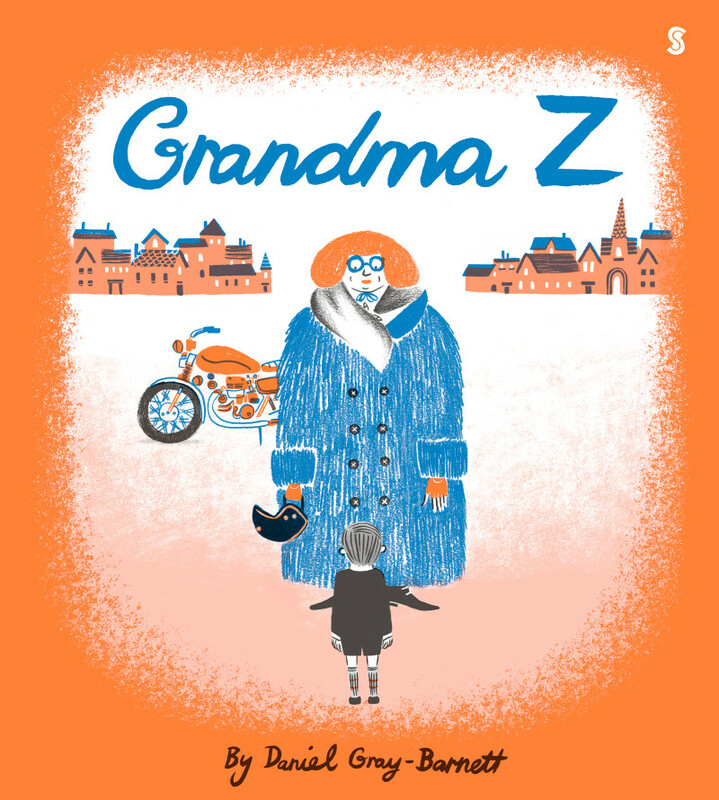 A bright orange cover features a portrait of Grandma Z. Everyone should have a Grandma Z, who makes the world sparkle and spin. This debut picture book from Daniel Gray-Barnett is jam-packed with the sort of birthday we all deserve. The limited but exuberant colour palette of orange and blue cues Albert’s rescue from a monochrome existence. Great fun to read out loud.